If you'll recall, this morning, it was reported that talks for Henry Cavill to reprise his role as the Man of Steel fell through during negotiations for a cameo role in Shazam! There have also been rumors that Warners is trying to steer their entire DC universe in a new direction, and essentially hit the "reset" button on the whole brand. 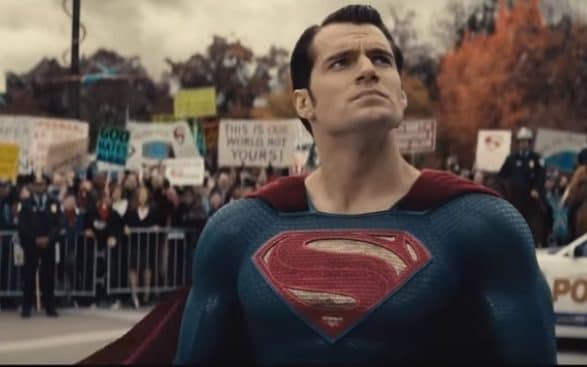 Scheduling conflict: The Hollywood Reporter write that Henry, who has played Superman in three films, can't commit to a planned cameo in Shazam! For its part, Warner Bros. doesn't seem too concerned about the breakup, with one studio source telling THR that the role of Superman "is like James Bond, and after a certain run you have to look at new actors". Neither representatives for Cavill nor Warner Bros. immediately responded to Fox News' request for comment. Warner Bros. will focus on a Supergirl movie instead. Cavill's next project is starring in Netflix's The Witcher fantasy series. I never especially took to his and Zach Snyder's interpretation of the Man of Steel, with all the furrowed brows, but it felt like he finally got to have a little fun in Justice League. A quick recap: first thing this morning, The Hollywood Reporter revealed that Henry Cavill and the DCU were going their separate ways. The only member of DC's holy trinity that now seems to have no plans to leave is Gal Gadot as Diana Prince, which makes sense since she received critical acclaim for her performance in Wonder Woman (which also earned DC high praise and some serious box office returns).